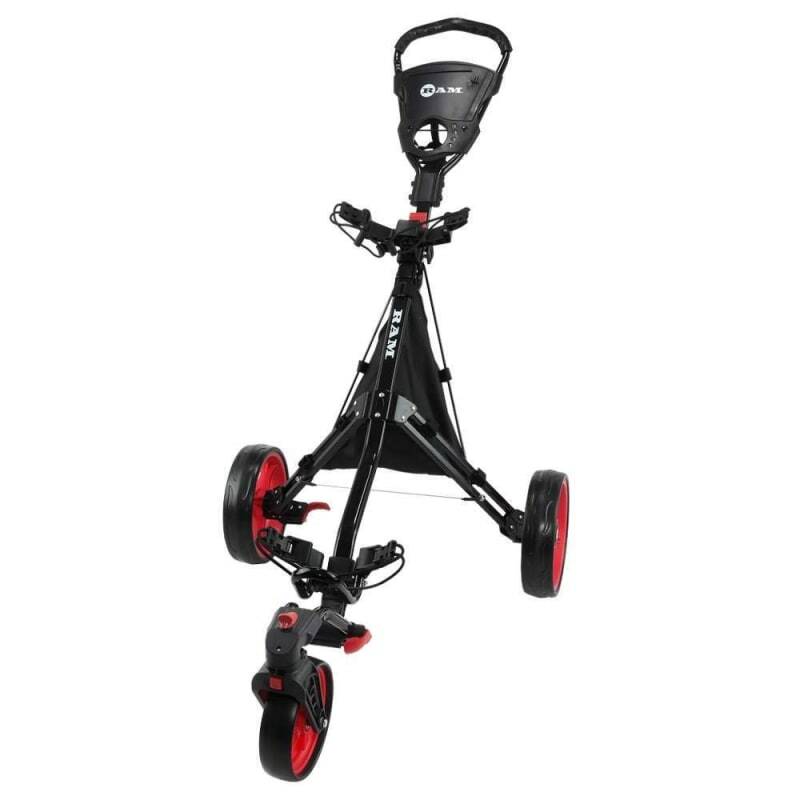 This golf trolley makes pushing your trolley around the course that much easier. Front wheel rotates freely so steering aronud the tightest corners is a cinch. You can also lock the wheel into a fixed position if you prefer that, or want to use this as a pull trolley. For all those bits and pieces you need constantly, there's a stuff it sack. 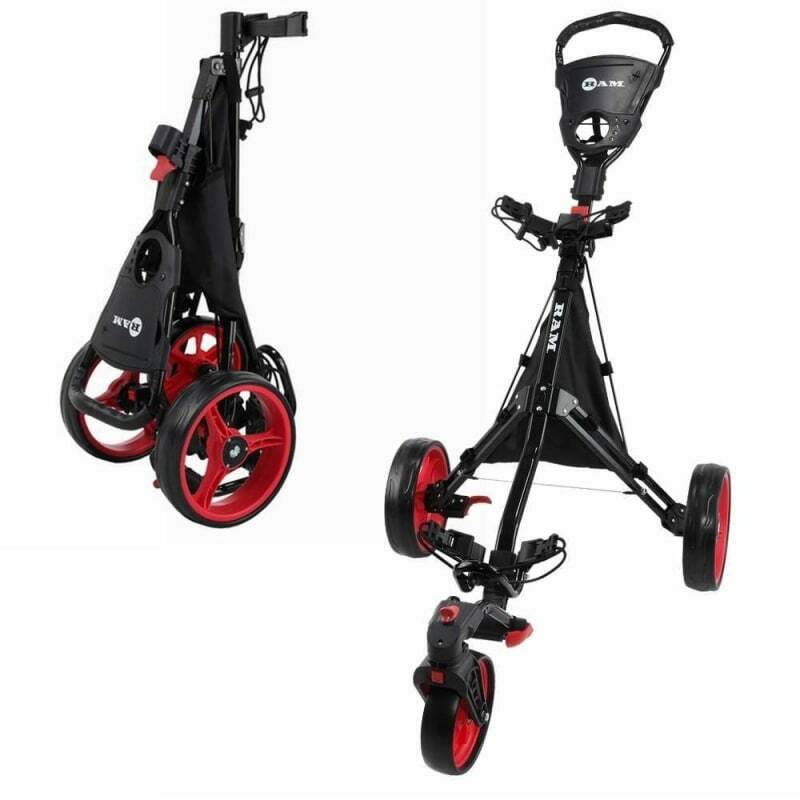 Spare balls, outer layers, chargers, GPS units - whatever you want. 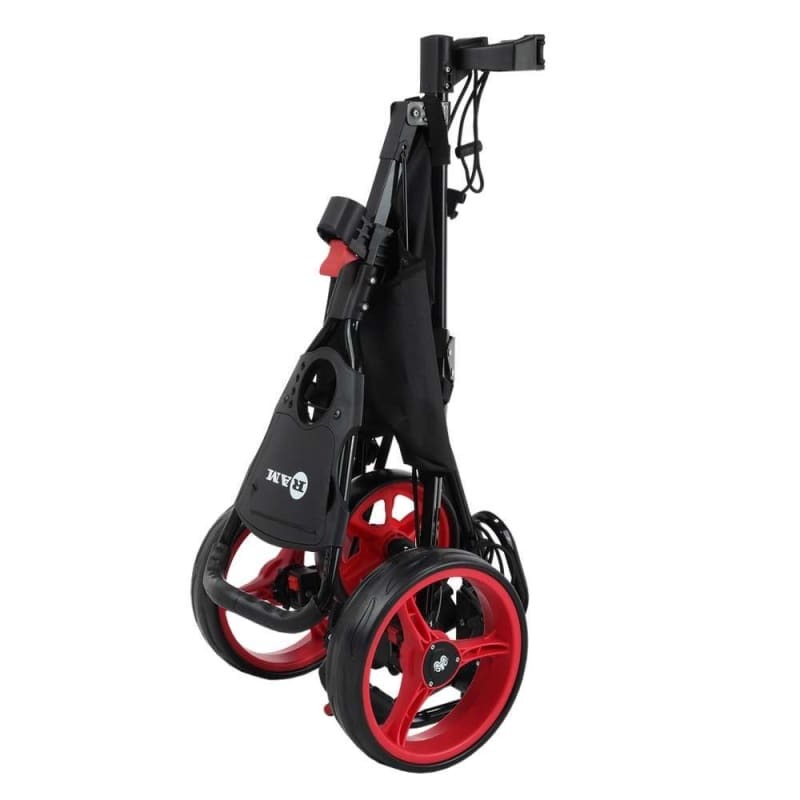 With 3 quick release wheels and a super easy folding mechanism, this trolley goes back down in seconds. Plus, snap lock buckles make for an easy, quick and secure lock for your bag straps.